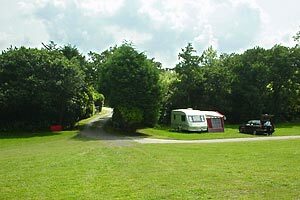 MAGOR FARM Caravan and Campsite. Tehidy. Camborne, Cornwall. We have no reception office, so when you arrive, just find a space and pitch your tent or park your caravan. We will find you later on in the day, or the following morning. You will see Kelvin Williams around the site in his red Ford Fiesta and Redvers in his tractor. Magor Farm Campsite is a very relaxed site, with few rules. However, for the comfort and enjoyment of other campers, we prefer that you are considerate of others and keep noise to a minimum in the evenings. If you have pets, please keep them under control at all times. There is a washblock with 2 x Ladies sections with adequate toilet and shower facilities and a Gents section with showers at the rear of the block, and a further toilet and shower section at the front (opened only at busy times). There is a wash-up area with two sinks and a spin drier. What do you have in the area?